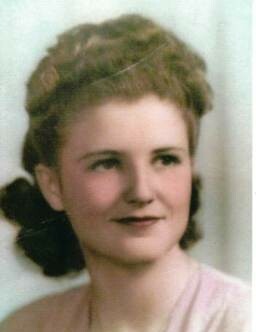 Ida Fay Robinson-Holt, 89 of Huntsville passed away April 4, 2018 at Washington Regional Medical Center. She was born November 8, 1928 in Marble to William Manual Robinson and Edna Pearl Barnes-Robinson. She was of the Baptist faith. She was preceded in death by her husband, Carson Causby Holt; sisters, Hazel Graham Goucher, Nola Graham Smith and Ella Rhea Robinson Beeks and brothers, Leo Graham and Ray Graham. Survivors include her children, Karen Holt Tice and husband Barry, Mary Holt and Billy Holt and wife Earlene; grandchildren, Teri Tice Penney, Kami Tice Shrum, Shelby Holt, Tyler Parson, Jacqueline Lovin Ebbert, Conley Holt, Shawna Holt Cornelison, Katie Beth Lovin and Sumer Holt; Great Grandchildren, Sutton Penney, Jayden Shrum, Erica Penney, Seth Penney, Jaxton Shrum, Hunter Holt, Hadley Holt, Jaylynn Cornelison, Liam Parson, Sadie Cornelison and Grady Parson; sister in law, Margaret Holt Wheeler and many nieces and nephews. Funeral service will be 10:00 AM, Saturday April 7, 2018 at the Big Sandy Church. Burial will follow at Big Sandy Cemetery. Pallbearers will be Shelby Holt, Tyler Parson, Conley Holt, Jed Penney, Jonathan Cornelison and Mitchel Ebbert. Honorary Pallbearers will be Jerry McCoy, Lee Holt, Jerry Goucher, Carl Beeks. Funeral services are under the direction of Madison County Funeral Service of Huntsville. Please visit www.madisoncountyfuneralservice.com to leave the family an online condolence.